There were several things that we liked about Accord IBS Relief. The supplement comes with a fair refund policy that guarantees a full refund for any reason within 30 days of receipt of the supplement excluding shipping and handling costs showing that the company really stands firmly behind the effectiveness of their product. Today we are reviewing a product called Accord IBS Relief. 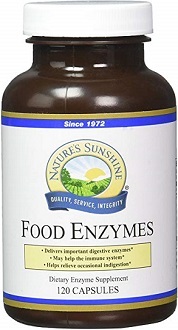 The manufacturer claims this product promotes overall digestive health by relieving occasional abdominal discomfort, bloating, body aches, and gas. The probiotics and other nutrients in Accord IBS Relief should help promote healthy digestion and improved regularity. 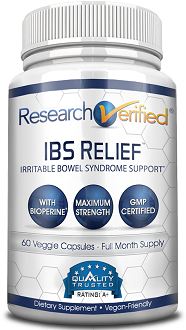 Read onto learn if Accord IBS Relief can help provide relief to your symptoms of IBS. 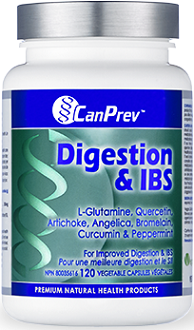 IBS Relief contains the probiotic Bacillus coagulans which delivers live probiotics in your lower digestive tract. Vitamin D can improve overall intestinal health and functioning. Take 3 tablets daily before bedtime with a full glass of water. Do not exceed 3 tablets per day. At 3 pills a day, a 60 count bottle is only enough for 20 days or treatment. 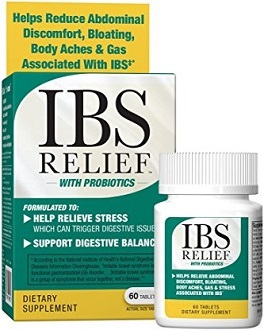 On the company website, a link takes you directly to Amazon where you can purchase one 60 count bottle of Accord IBS Relief for $49.95. When we checked on Amazon, the product was unavailable for purchase, and the manufacturer website does not suggest anywhere else to buy the supplement. Discounts are provided on Amazon if you buy in bulk. If you buy two bottles, you receive two free bottles, or buy three bottles and receive three free bottles. Shipping costs are extra unless you have Prime. The supplement comes with a good refund policy. Accord IBS Relief comes with a 100% satisfaction guarantee. Within 30 days of receiving the product, you may return a bottle for a full refund excluding shipping and handling. It’s not clear if this includes opened bottles as well as unopened bottles. There were several things that we liked about Accord IBS Relief. The supplement comes with a fair refund policy that guarantees a full refund for any reason within 30 days of receipt of the supplement excluding shipping and handling costs showing that the company really stands firmly behind the effectiveness of their product. It’s not clear if this includes opened bottles as well as unopened bottles. We liked that there were discounts if you are purchasing Accord IBS Relief in bulk. On the negative side, we were a bit disappointed that there was no discount on shipping when buying in bulk, nor any discount for first time user. We found that the product is quite expensive considering each bottle only has enough pills for 20 days of use if taking 3 pills per day. When we checked on Amazon, the product was unavailable for purchase, and the manufacturer’s website does not suggest anywhere else to buy the supplement. We were also somewhat concerned with the possible side effects caused by taking this supplement. The website did not go into detail about the possible side effects like stomach pains, diarrhea etc. Reviews were mixed with some positive but a lot of negative ones too. Therefore at this time for these reasons we are unable to recommend Accord IBS Relief.